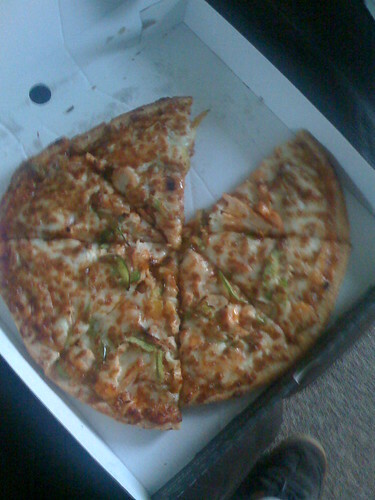 Bianoconi’s the best pizza in Dublin? Oh Hell..
As people know I’m a massive fan of Hell Pizza, even Sunday Times employees have accused me that I’m on their payroll but I’m not. However I am on the payroll of WhoseView.ie who had me help them organise a blogger/Twitterer/rantAndRaver event where we came, saw and pizzaed. We were there to not be very sciencey but to sample pizzas from 6 different pizzerias and see which ones we liked and disliked the most. It was a blind taste test, nobody knew until after which pizza was from where and to my surprise and slight shock, Hell didn’t finish too well in the list. Last week a few food and drink bloggers were invited out to the offices of Edward Dillon and company, who look after Hennessy in Ireland. This was organised via Brennan Sabatini (warning music plays). 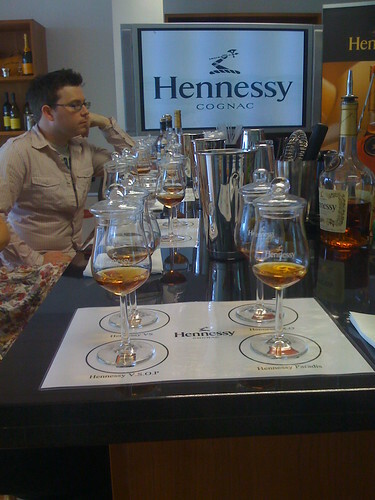 The meet and greet also extended to sampling some of the variations of Hennessy as seen below. We tried Hennessy V.S., Hennessy V.S.O.P., Hennessy X.O. and Hennessy Paradis. We got the history behind Hennessy and how the various cognacs are made. Hennessy then asked us for feedback on how they market and as people in the blogging and online media space, is there anything they should do. Feedback was given. I’m a fan of Hennessy and Baileys mixed together but it can be heavy after a few, ginger ale works well. Very interesting to hear that Hennessy in America is consumed mostly by African Americans and Hennessy is references a hell of a lot in hihop songs. Oh and by volume, not per capita, Ireladn is 4th biggest in world for consuming Hennessy. So what did Hennessy get out of this, 5 people who may now consider ordering Hennessy based cocktails? Or them telling their readers? Perhaps. Still negligible audiences compared to print or radio though. Getting to know people who spend all their hours in this new medium might be a good thing though. I heard it has a future this internet thing. For the bloggers, they got to sample a small amount of booze but they also got new content for their blogs. They also know a little bit more about their subject area which is probably the biggest benefit. 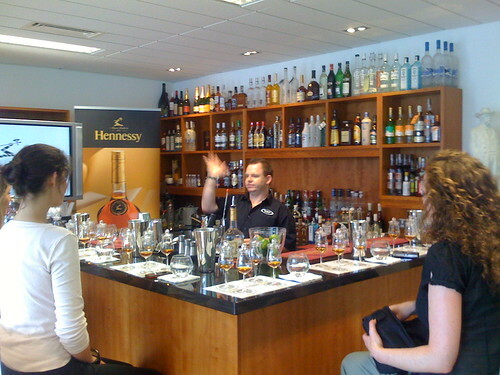 Cognac making and blending is to me at least, highly interesting. I do wonder what the next step after the various meets and greets are though. Will consumers eventually design products they want and so become part of the customer care and product design teams? Peanut satay, sweet chili, green peppers, chicken, onions. Totally yumtastic. 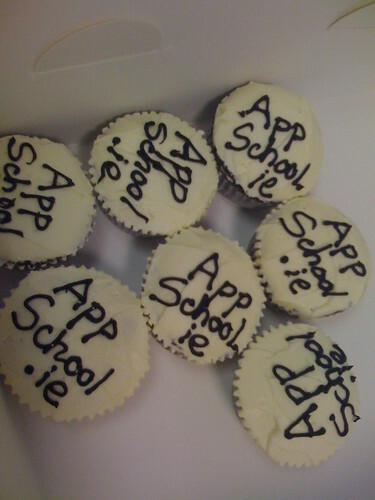 So we got some cupcakes made to celebrate the launch of App School. Once again the hyper-talented people in the Dublin Cupcakes made them at short enough notice and did an excellent job. 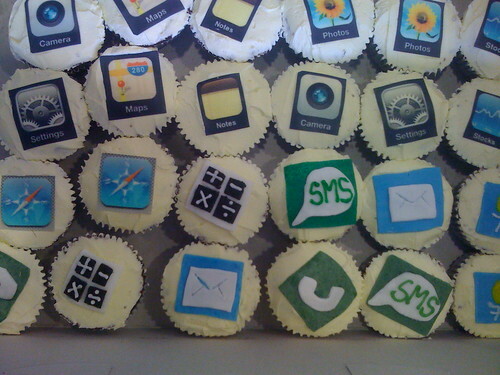 Some of the cupcakes have 3d icons and some are printed on edible paper. There’s a Cork Bloggers late-lunch thingymajig on Monday, December 15th, 5pm. Organised by Joe. 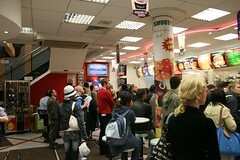 Then on Tuesday December 16th there’s another slapup meal in Dublin for the bloggerati. Sign up to go along, if you’ve not gone to one of these events before then come along, you’ll be made very welcome. Another of the special surprises at the Web Awards were the amazing cupcakes by Dublin Cupcakes. It was Jason that got on to me about them, suggesting them for the event and knowing I like to have something on the night that was not announced in advance. After being to Interesting in London this year and Moo sponsoring some wonderful cupcakes I thought they’d work well at Irish events too. Who doesn’t like sugar rushes? I then forgot about pursuing the idea. 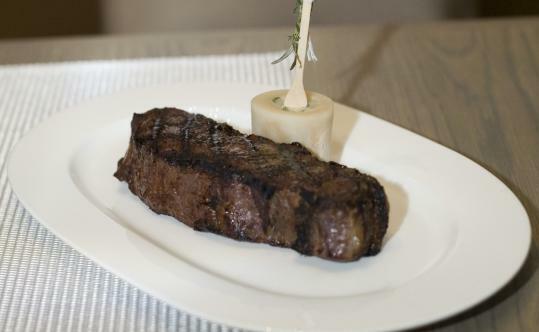 The bread came with bone marrow butter, served in a bone. Looks like this. RTE Cork are currently in pre-production for a new food and business programme called Recipe for Success where they invite amateur cooks to submit their original recipe ideas. The best ideas will then be selected and participants will be invited to present their recipes to a well-respected Irish food businessman who will over several weeks select a winner. 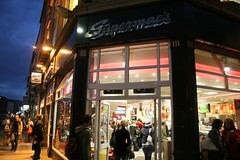 The winner will then have their product sold in the Supervalu. 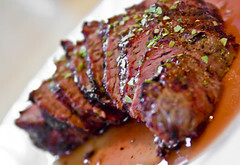 As you may or may not know, I run Irish Food and Drink aggregator Gastronom.ie. There are about 45 Irish Foodie blogs that it aggregates and it gets about 110 visitors a day and has a few dozen people subscribed to the feed. If you want to get emails updates of the posts then there’s a subscription box towards the bottom right of the front page. Aggregator, what’s one of them? Yeah, it’s a single place online where you can get the latest content from a load of other sites. Gastro is structured so that it only takes summaries of the blog posts and so the original owner gets all the Google rankings for their content. 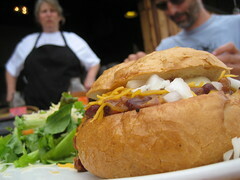 The site is going to be rejigged in the next few weeks and we’ll ramp up the homemade content. We’ve already started though and the wonderful Sinéad from Inkheart has come on board to write summaries of what Foodie content was covered in the Sunday papers. We decided to call it Post the Roast. Go and have a read. She’s a great writer isn’t she? You’ll see a new Post Roast on a Monday morning. With enough sponsors we’ll have new content daily. Speaking of which, if you want to sponsor sections of the site, let me know. There’ll be regular sections a sponsor can have their name on. Our main sponsorship route right now is the sponsored blog post. See, we dislike pure ads. We think they’re bad for the advertiser and bad for the reader. A sponsored blog post means the advertiser/sponsor has to do a bit of work and create something useful such as a competition or a blog post with recipes or a sample chapter from a book or something interesting for the readers of the website. Our readers get value and our sponsors engage more with the readers as a result. Well, that’s the idea anyway… Email me at the usual (see contact page) if you want to be a sponsor. It might work well for companies that work in the Food business.